KCRA TV is reporting that all flights are now taking off at the Sacramento International Airport. This after a computer outage kept planes grounded. KCRA reports that travelers can still expect 30 minute delays. SACRAMENTO, Calif. (AP) - Departing flights at Sacramento International Airport are grounded following a computer outage early Wednesday morning. KCRA reports airport workers are unable to check bags for passengers, and people are unable to board many departing flights. Incoming flights are arriving as scheduled. Chico Police are asking the public's help in finding a missing man. John Fassieux was reported missing Sunday after he left his residence on Sterling Oaks Drive for an unknown destination. According to his family, Fassieux has early onset dementia and may be confused. He also suffers from multiple medical conditions that require daily medication which he reportedly doesn't have with him. According to a Chico Police press release, Fassieux left his house in a blue, 1973 Mercedes Benz. Two pot busts are carried out by Butte County authorities. The most recent one came Wednesday as members of the Sheriff's Office eradicated more than 17 thousand plants off Jatko Road in Berry Creek. No one was arrested there. A Mexican national was arrested last Wednesday after a raid on Cherokee Road near Oroville. According to a Butte County Sheriff's Office press release, 31 year old Eliceo Morales of Michoacan, Mexico was arrested for felony cultivation after authorities found more than 36 hundred plants and more than 34 pounds of processed pot on property on the 38 hundred block of Cherokee Road. In both cases, water was being illegally diverted from some local streams to the grow site. Photos from the May 10th Marijuana bust. A quick thinking Chico police officer helps to save a man's life. A man entered the lobby of a local motel to rent a room around 1:30 Wednesday morning when he reportedly started having a seizure and then fell to the floor. Officer Alan Gilbert arrived and noticed the man had a shallow breathing pattern and didn't have a pulse. Officer Gilbert then began to perform C-P-R on the victim and he was revived by the time medics arrived. The victim was taken to the hospital where he is listed in stable condition. Police Chief Michael O'Brien commends Officer Gilbert for his actions that saved the man's life. Chief O'Brien said, “Each day our officers are called upon to serve the community in various capacities and that sometimes includes medical situations. We are proud Officer Gilbert is part of our family and of the work he performs for the citizens of Chico.” - according to a Chico Police Department press release. 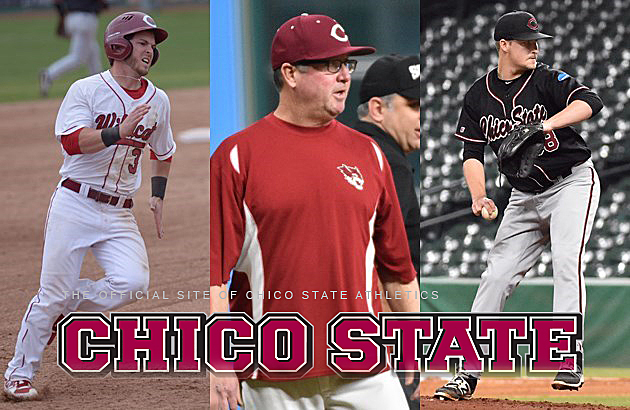 Chico State Wildcats Baseball will broadcast on News-talk 1290 KPAY. Chico State Wildcats vs Stanislaus State - CCAA Tournament 3:00pm PDT. This broadcast is during Lars Larsons' scheduled time slot. 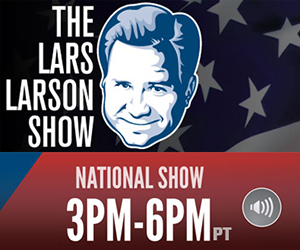 The Lars Larson Show will be be available via online stream. Lars Larson show will be be available via online stream. Today Chico State Wildcats Sports will be running on 1290 KPAY during Lars' scheduled time slot. Police make an arrest after a shooting in Chico. Officers responded to the 1400 block of Almond Street on the report of a shooting around 2:45 Wednesday afternoon. The caller said that his roommate, identified as 45-year-old Bret Bratcher, had allegedly shot at his adult nephew with a shotgun. The man's nephew was not injured. Police arrived and surrounded the residence and got the two men, who were hiding from the suspect, out of the house. Officers then contacted the suspect, who surrendered without incident. Bratcher was arrested for negligent discharge of a firearm and criminal threats, that according to a Chico Police press release. A former Yuba County deputy who trafficked drugs from Butte County was convicted in Federal Court. 38-year-old Christopher Heath, a former Yuba County sheriff's deputy and narcotics investigator was convicted of various drug manufacturing and drug trafficking charges in a Harrisburg, Pennsylvania courtroom. Between 2014 and 2016 Heath and his co-defendants grew marijuana on a property in Butte County and shipped hundreds of pounds of it through the U-S Postal Service to several locations around the country including York County, Pennsylvania. According to a press release from the U-S Attorney's Office of the Middle District of Pennsylvania, Heath and his co-conspirators were arrested after they drove to Pennsylvania with half a million dollars worth of pot in his truck. Heath has additional firearms charges pending here in Butte County. Chico Fire is reporting hydraulic fluid on the roadway. This happened sometime before 8:30 am this morning on Bruce Road between Highway 32 and Lake West Drive. Chico Fire, in a tweet, says to use caution in the area. A downed active powerline closes the intersection of East 1st Avenue at Neal Dow. The wire was reported after 6 am this morning. A small fire was reported after the line came down. Around 7:15 Chico Police and Fire dispatch reported that it could be about 30 minutes before traffic flows could return to normal in the area. PG&E crews are reportedly at the scene working the downed lines. Chico Fire is reporting that East 1st Aveune at Neal Dow is closed due to downed live wires. The wires were reported after 6 am this morning. The fire department tweeted that the road may be closed for the next couple of hours. PG&E crews are reportedly at the scene working the downed lines. OROVILLE, Calif. (AP) — California is borrowing up to a half-billion dollars to pay for repairs to the badly damaged spillways of Oroville Dam. The state treasurer's office said Monday that California water officials obtained a $500 million letter of credit last week for the Oroville Dam repairs. Heavy water this winter tore giant craters out of both spillways at the half-century-old dam, forcing the evacuation of 188,000 people. The state Department of Water Resources is rushing to repair the main spillway before the next rainy season. President Trump announced $274 million in funding for Oroville Dam repairs last month. State officials have not provided a repair cost estimate so far but said Monday they have asked the federal government to pay 75 percent. Deputies respond to a shooting this morning in Oroville. The shooting occurred on the 24 hundred block of D Street in south Oroville just before 2 am this morning. Deputies say the house was hit many times with gun fire. There were reportedly several people in the residence at the time of the shooting but no one was injured. According to a Butte County Sheriff's press release, witnesses said that there were several suspects seen running from the area after the shooting. Anyone with information about the shooting is asked to contact the Butte County Sheriff's Office. This week is Air Quality Awareness Week. According to a Butte County Air Quality Management District press release, this year's theme is "Be Air Aware" and every day this week the district will reach out with information about air quality. Today the district will provide information about Measuring Air Quality and what types of air pollution is measured in Butte County. A tip leads to the arrest of a vandalism suspect. The Chico Police Target Team arrested 31-year-old Luis Rojas, Jr. and charged him with Felony Vandalism for an incident in March involving the statue of General Vang Pao. Video from City of Chico cameras reportedly showed an unidentified person kicking the statue and damaging it. The suspect is then seen riding way on a bicycle. A resident spotted a bicycle that matched the one in the video and they called the police. This led officers to Rojoas, this according to a Chico Police Department press release. 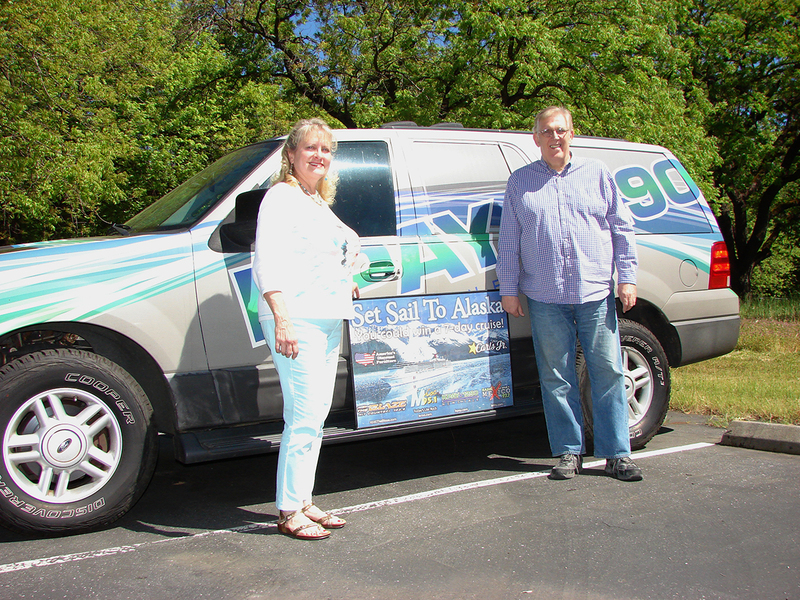 1290 KPAY Alaskan Cruise Winner! Pat from Paradise is the 1290 KPAY Alaskan Cruise contest winner. Thank you to all the KPAY-AM listeners for participating.